If you’ve been around this blog for a while you know that I love making fun birthday cakes for my kids. Owen just turned 7 and it was a family year for him (the kids get friend parties on their even-numbered birthdays). In addition to it being a family year I also turned 40, so I kind of forgot about making him a cake. (WHAT?!?!?) Then, the day before his birthday, Owen was talking about his Minecraft Slime birthday cake. And I realized, “OH. I need to make a birthday cake.” There may have been a bit of panic on my part, however Minecraft saved me from a full blown panic attack because SQUARES. I looked up what Minecraft slime looks like and I was especially relieved. 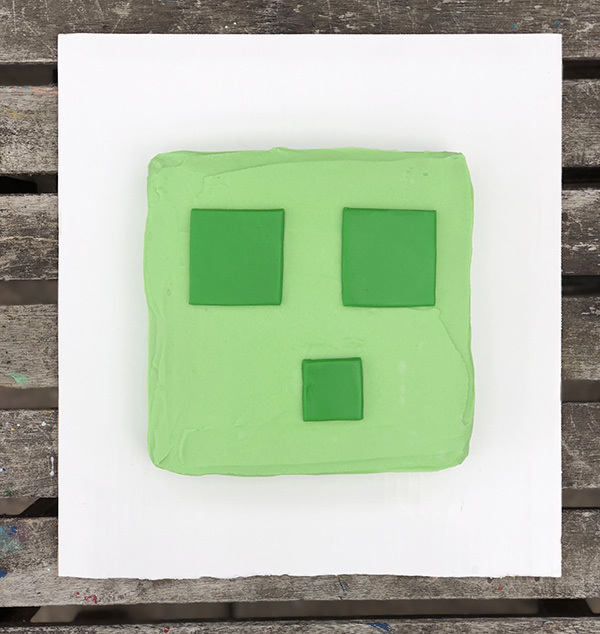 This Minecraft Slime birthday cake is so easy to throw together, even a mom who forgot that she makes awesome cakes for her kids every year and had to throw together a cake last minute could do it. So, if you have a kid (or grown up) in your life who loves Minecraft, you should totally suggest this cake to them. Because you’ll knock their socks off and won’t even break a sweat doing it! If you’re going to make this cake, I highly recommend reading my post An Amateur’s Guide to Making Super Cute Cakes before jumping in as it has lots of great tips. 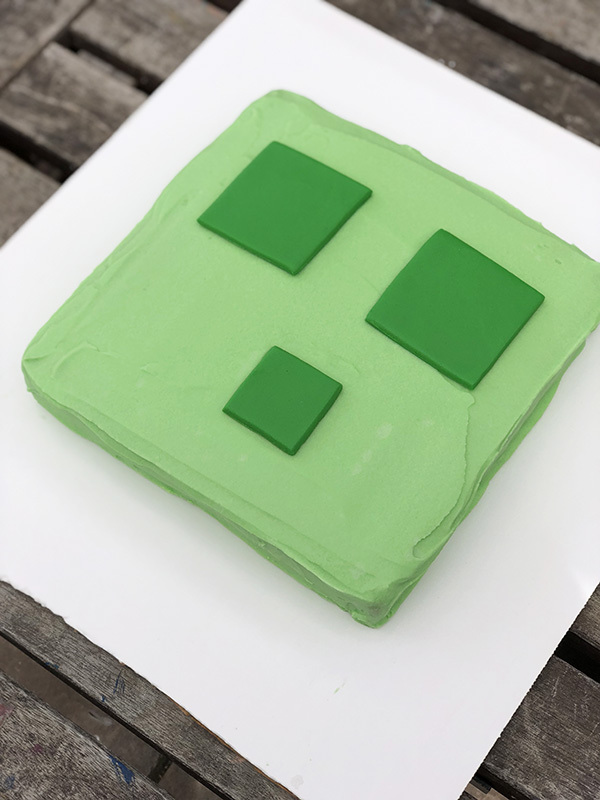 In addition, I used the frosting and cake recipes included in that post for this Minecraft Slime birthday cake. I LOVE THIS! I’m making this for my son’s birthday, for sure! ALL THE HEART EYES JANE.